Unlike its sister piece of legislation, the Energy Performance of Building Directive (EPBD), the Energy Efficiency Directive (EED) update has been far from smooth sailing. Adam Gierek, the Polish MEP in charge of steering the draft law through the European Parliament, has been accused of negotiating key aspects of the directive against the line of his own political group, the Socialist and Democrats (S&D). His stance on the EED is indeed much closer to the centre-right European People’s party (EPP) and the European Conservatives and Reformists (ECR) groups, sources familiar with the file told EURACTIV.com. Adam Gierek’s initial draft report on the European Commission’s proposal was widely criticised for focusing too heavily on primary energy consumption and for ditching the S&D’s 40% energy saving target for 2030, which is the centrepiece of the legislation. Instead of a 40% target, Gierek first opted for a far lower 28% objective before raising the bar to 35%, under pressure from MEPs in his S&D group. The European Parliament has twice backed a 40% energy saving target, an objective again confirmed when the assembly’s environment committee voted on the EED in September. So Gierek’s insistence on diluting the target is now putting him in an awkward position with the European Parliament as a whole. Relations with “shadow” rapporteurs from other political groups in the European Parliament have also been fractious. Sources familiar with the situation claim that Gierek no longer takes bilateral meetings with his colleagues and that he mistakenly identified two of the shadow MEPs as assistants during one meeting. Gierek’s latest position actually backs the 40% energy savings goal, suggesting that he is now toeing the S&D group’s long-held energy efficiency target. 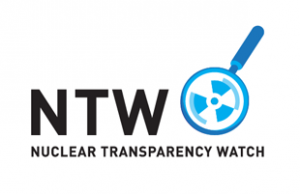 But Green lawmaker Benedek Jávor, who is shadow rapporteur on the EED, branded Gierek’s 40% offering as mere “window dressing” and told EURACTIV that a proposed change to final energy consumption would actually decrease the target to just 30-31%. Jávor explained that under Gierek’s current proposal the EU would fail to reach primary energy targets in 2030, adding that the latest compromise from the Polish MEP is “unacceptable” and nothing short of a “trick”. 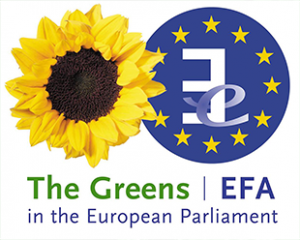 As things stand, the S&D vote together with the Greens/EFA and GUE/NGL groups would on paper be enough to form a majority and pass a report that supports the 40% target, as happened recently with the opinion adopted by the Parliament’s environment committee. But Jávor suggested that Gierek may in fact be trying to split the vote of the S&D group in order to deliver a majority to the EPP and ECR, who support a much less ambitious energy efficiency directive. Gierek is said to be securing the support of Socialist MEPs from Eastern Europe, making it uncertain which way the vote would swing as support is so finely balanced. Markus Pieper, the shadow rapporteur for the centre-right EPP, has reportedly been trying to convince his group to back the Gierek proposal. Pieper declined to comment when given the opportunity to do so. A final vote in the Parliament’s industry committee is scheduled for 28 November. Calls for Gierek to be stripped of his duties as lead rapporteur have been made before and this fresh pressure could force the S&D group to consider its options again. Socialist MEPs meet on Tuesday (17 October) for a regular horizontal working group meeting, where the EED will almost certainly be on the agenda. When asked if he believes Gierek’s time in charge is over, MEP Jávor insisted that it is an “internal problem” which the S&D group will have to address themselves. When contacted on Friday (13 October), Gierek was unreachable for questions. Removing a lead rapporteur from a file is very much a last-resort option for a political group. It has happened before in Parliament but has mostly been due to technical reasons and very rarely this late in the game. Files are awarded to political groups after intense negotiations and it is up to the relevant group to decide who in its ranks becomes rapporteur. It is then also up to the same group to decide if an MEP should be removed from their role if they are not pushing the right political agenda. The EED is a crucial part of the Clean Energy Package and the draft report adopted by the Parliament’s industry committee at the end of November will eventually form the basis of the assembly’s position during trilateral talks with the Commission and EU Council. The environment committee’s opinion was widely praised for being ambitious and reflecting Parliament’s position on energy efficiency, as well as a number of resolutions passed by the institution so far. Whoever is dispatched to negotiate in trialogue for the Parliament will also be expected to mirror this position as closely as possible, especially given the Council’s insistence on a non-binding 30% target, adopted back in June.